Picture this: you’re the newfound owner of both a cigar factory and banking business in Havana, Cuba. You have a literal vault as your personal humidor! Sounds too good to be true, right? Well, this was the case for Hermann Dietrich Upmann, a German banker that truly lived the fantasy of near-every diehard cigar fanatic. It was 1844 and Herman had begun tinkering with a special blend that he would gift to his most important clients, friends, and family; which were, naturally, stored within the security of the bank’s own vaults. Flash forward 170 years, as Altadis USA, the current manufacturer of H. Upmann cigars, has set out to reimagine what Hermann’s own, award-winning cigar may have smoked like. To accomplish this, Altadis used the combined talents of their famed Grupo de Maestros—a collection of cigar artisans with more than 250 years combined experience. These artisans have introduced a dark and oily, Ecuadorian Habano wrapper, which has been draped over a Nicaraguan binder and fillers of Nicaragua and the Dominican Republic. The resulting experience offers a medium-plus body and robust flavors of roasted nuts, cabinet spices, drip-brew coffee, chocolate, and aged tobacco. 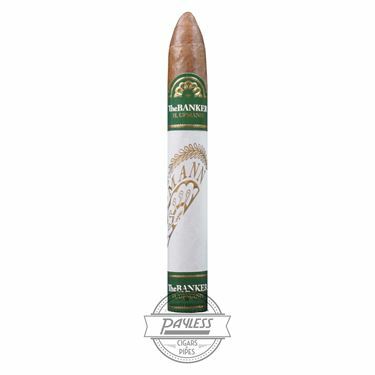 The cigar has appropriately been dubbed H. Upmann The Banker, showcasing a refined profile and an equally sophisticated appearance. 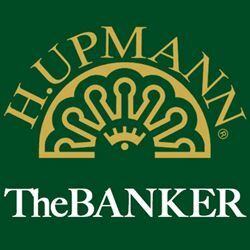 This is truly a special smoking experience that would’ve made Hermann Upmann himself proud!